Birthday, Colleague, For grandmother, For her, For young lady, Girlfriend, Gratitude, I Miss You, Sorry. 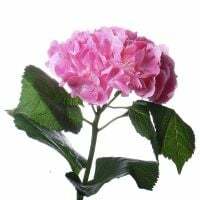 Since ancient times the hydrangea is supposed to be a symbol of modesty, sincerity and hope. There are many legends around the world about magic features of this flower. 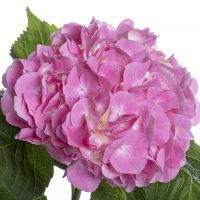 For some nations, it serves as a talisman from evil spirits and different illnesses and for others, the hydrangea is a real gift from Gods. You can present several flowers to beloved daughter or give the armful of beautiful blooms to a dear mother, aunt or grandmother. 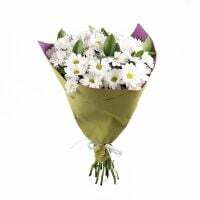 Just add to such bouquet a basket of juicy fruits, goodies or other pleasant things that you can order on our website. 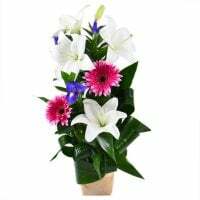 And you will see that a Birthday, name day, jubilee, professional holiday, discharge from maternity hospital will become even more bright and positive with such alluring and airy flowers. Attention! The number of flowers in the bouquet you choose yourself. Flowers can differ from the picture.